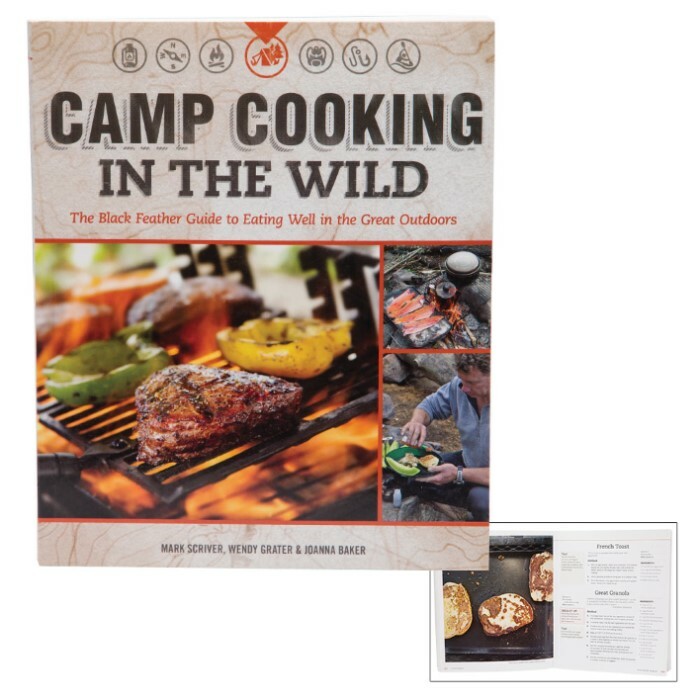 Camp Cooking in the Wild Cookbook | BUDK.com - Knives & Swords At The Lowest Prices! Just because you’re out in the wilderness roughing it, there’s no reason to relegate dinner to tired old granola or dehydrated/freeze-dried fare. Whether you’re new to camping - wondering how to create a menu and set up a kitchen in the woods - or if you’re an experienced outdoorsman seeking out new recipes or techniques, Camp Cooking in the Wild is an essential read. 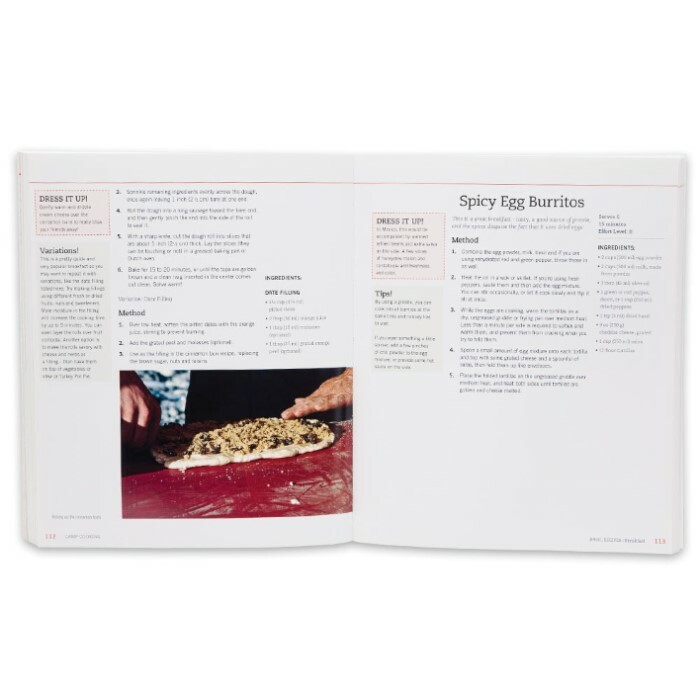 Authored by Wendy Grater and Mark Scriver of Black Feather Wilderness Adventures and senior guide Joanna Baker, this handy paperback is full of tasty recipes easy to prepare at any primitive campsite. 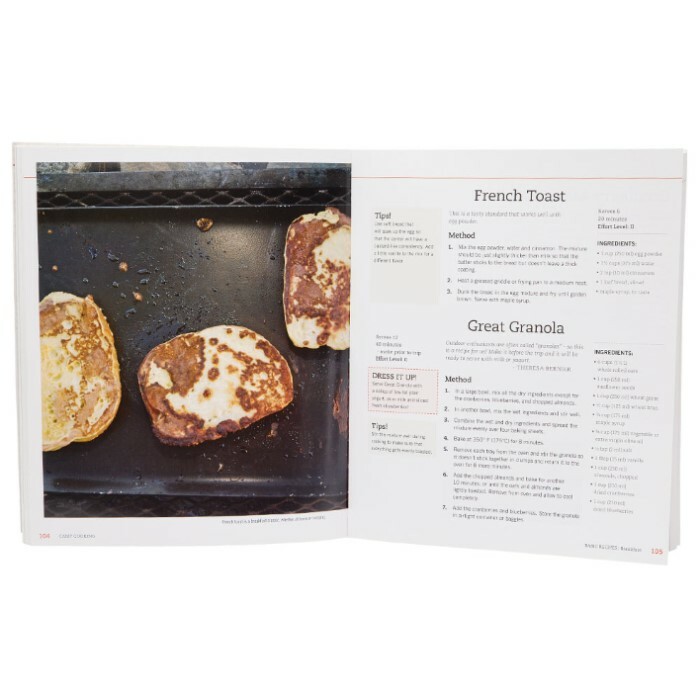 The authors draw on their own extensive experience to teach readers favorite recipes and proven methods to make trip meals successful. Colorful photographs, clear instruction, expert and a lot of great recipes make this an indispensable guide for anyone who wants to eat well in the wild. Softcover, 220 pages.